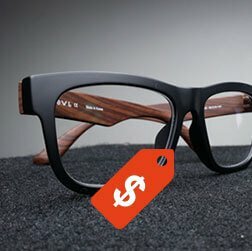 Optometrist and Eyewear Centre Visuel D.R. Preserve your most valuable sense by taking advantage of our unmatched professional services at Centre Visuel D.R. Centre Visuel D.R. is a company that was established in 2012 by Dr. Darkise Richard, independent optometrist. The key to our success is a relationship based on trust that was gradually created thanks to our employees’ wonderful work. Families have found comfort, assurance and attention to their needs. Here we are dedicated to welcoming, listening and advising. From newborns to elders, everyone deserves the best service! We have an exceptionally warm reception service. Come see for yourself, a nice smile awaits you! Recipient of the 14th edition of the Quebec Entrepreneurship competition award in the "Service" category, Centre Visuel D.R.’s ultimate goal is customer satisfaction. This centre will charm you with its personalized and professional service. In 2012, the centre was also awarded the "Coup de Coeur" award by the Grand Châteauguay Chamber of Commerce. Come and see our customer service quality for yourself. 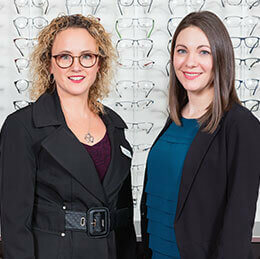 Whether for visual care or to choose frames, our team works together to satisfy all customer needs. 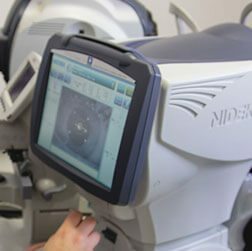 An eye exam serves as a guide for evaluating your eyes' abilities and health. Visual health can be compromised by the presence of eye diseases. Dry eye is characterized by a decrease in the secretion of tears. Our impressive selection of optical-correction sports glasses meets FIFA standards. The optometrist will establish your visual health to determine whether contact lenses are a wise choice for you. Our professionals’ experience makes everything possible in an hour, depending on lens availability! Like what you see, clearly, passionately and comfortably ! !